We offer package solutions for high-speed digital ICs, mixed-signal ICs and RFIC products. EIS plans to provide Turnkey Chip Design Services. Semiconductor services portfolio includes ASIC / FPGA Design Services. EIS will offer RTL to GDS2 silicon design services that include micro architecture development, RTL development, RTL verification, Physical Design Services including timing verification using signoff CAD methodologies. and SOC design services from concept to silicon, including system design services. If you are looking for asic design outsourcing experts. Application Specific Integrated Circuit is platform which has been designed for a global workspace where-in the board can be remotely accessed over a network. These are provided with Expertise in Complex Designs, Power management and RF module layouts, Data converters, PLLs and Expertise in Standard cell & IO libraries. We bring forth our vast industrial experience and expertise in this business, instrumental in providing ASIC Designing Service. Techieshubhdeep IT solutions Pvt. Ltd.
5Square Technologies Team has proven Expertise in design and implementation of multimillion gate chips of the technological nodes up to 28nm. Custom ASIC designed devices offer many advantages: the device is tailored specifically to the needs of the application providing precisely the right functions and performance levels that the application requires. 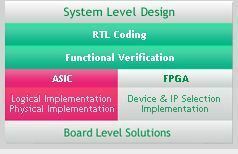 ASIC based Design : This is one step ahead of FPGA implementation. 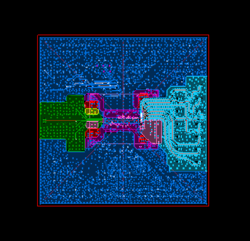 The design described in VHDL can be sent to the foundry to make IC for this design. ASIC is an acronym for Application Specific Integrated Circuits. ASIC solution is good where the number of samples requirement is very large (e.g mobile phone industry). ASICs are very fast, since most of the functionality is done in hardware.